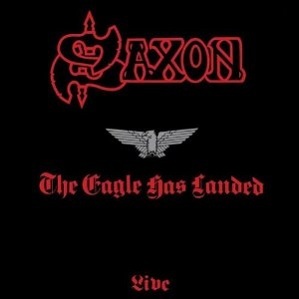 The Eagle Has Landed Live is the first live album by Saxon and was recorded in 1981. The album was remastered in 2006 and released with more songs. Here is a video of Saxon performing Midnight Rider live in concert in 1981. Saxon haven’t shown much imagination in naming some of their live albums because there is the original album, the Eagle Has Landed part 2 (recorded in 1995) and part 3 recorded in 2004 & 5 so you need to be careful you get the one you want. Is this the best live album by Saxon? Please vote in the readers poll to find the best live album by a heavy metal or hard rock group. This entry was posted in 1980s Live Albums, Heavy Metal Live Albums and tagged 1980s hard rock, 1981 live albums, heavy metal 1981, Saxon Live Albums by Paul Simister. Bookmark the permalink.